INTJs are natural leaders, although they usually choose to remain in the background until they see a real need to take over the lead. When they are in leadership roles, they are quite effective, because they are able to objectively see the reality of a situation, and are adaptable enough to change things which aren’t working well. They are the supreme strategists – always scanning available ideas and concepts and weighing them against their current strategy, to plan for every conceivable contingency. INTJs spend a lot of time inside their own minds, and may have little interest in the other people’s thoughts or feelings. Unless their Feeling side is developed, they may have problems giving other people the level of intimacy that is needed. Unless their Sensing side is developed, they may have a tendency to ignore details which are necessary for implementing their ideas. 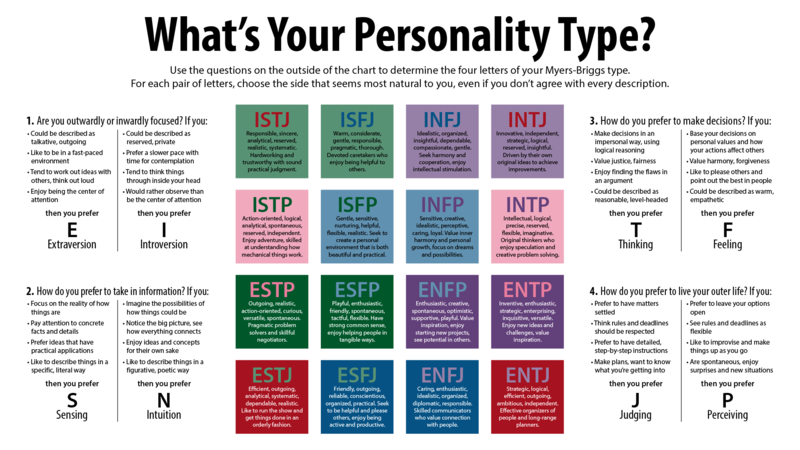 The INTJ’s interest in dealing with the world is to make decisions, express judgments, and put everything that they encounter into an understandable and rational system. Consequently, they are quick to express judgments. Often they have very evolved intuitions, and are convinced that they are right about things. Unless they complement their intuitive understanding with a well-developed ability to express their insights, they may find themselves frequently misunderstood. In these cases, INTJs tend to blame misunderstandings on the limitations of the other party, rather than on their own difficulty in expressing themselves. This tendency may cause the INTJ to dismiss others input too quickly, and to become generally arrogant and elitist.